Whiz Kids is participating in the United Kingdom’s Girls’ Education Challenge (GEC). 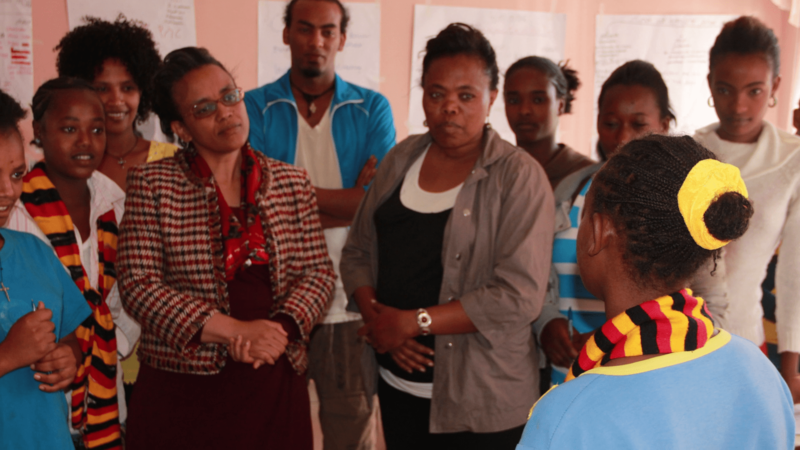 Working with Link Community Development Ethiopia (LCDE), Whiz Kids has devised an innovative approach called “Involve Me; Watch Me” to help girls stay in school and finish their primary education. “Involve Me; Watch Me” is a multimedia platform which allows young people to create film about the challenges they face and introduce them to a role model who achieved those challenges. During “Involve Me”, young girls received an intensive four day training and produced one minute films on their daily challenges. On Watch Me, an accomplished woman discusses her struggles and successes while giving encouraging advice to girls. These vital role models show girls they can achieve or change anything with hard work and perseverance. The project equips teachers and administrators to empower girls and create a positive classroom environment. “Involve Me: Watch Me” was filmed and will be distributed in the Wolaita Zone of southwestern Ethiopia. If you want to learn more about the challenge, visit the UK Girls’ Education Challenge website.